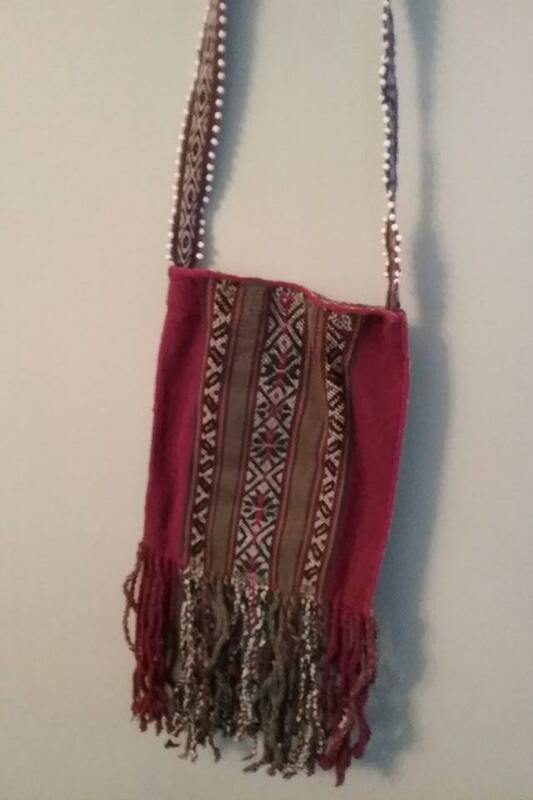 Peruvian all natural woven coca Bag boho style. 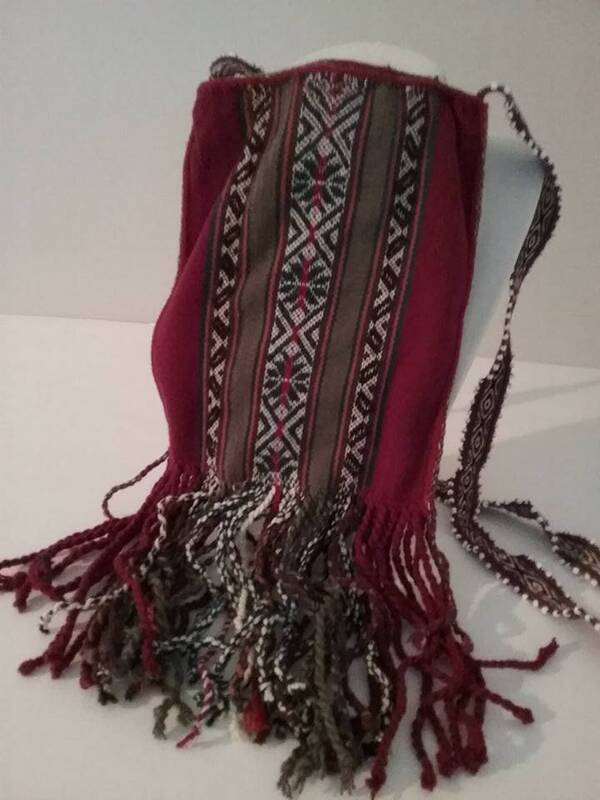 Vintage woven purse, 1996, Peruvian hand woven coca bag. 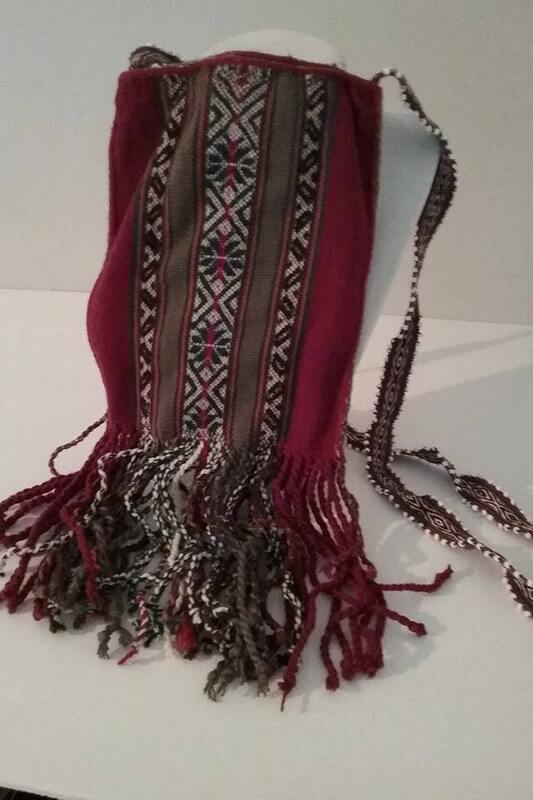 100% all natural, 90% sheep wool, and 10% alpaca wool. 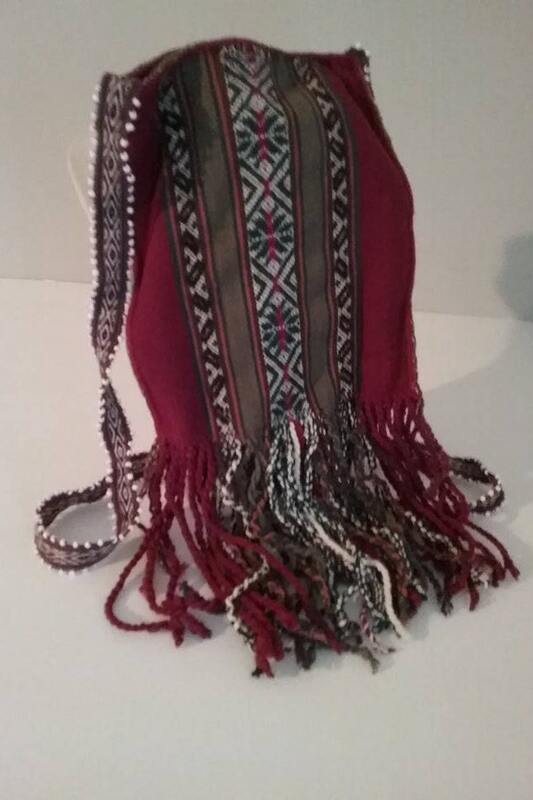 Peruvian Inca's textile art is being preserved by the selling of such bags or purses. 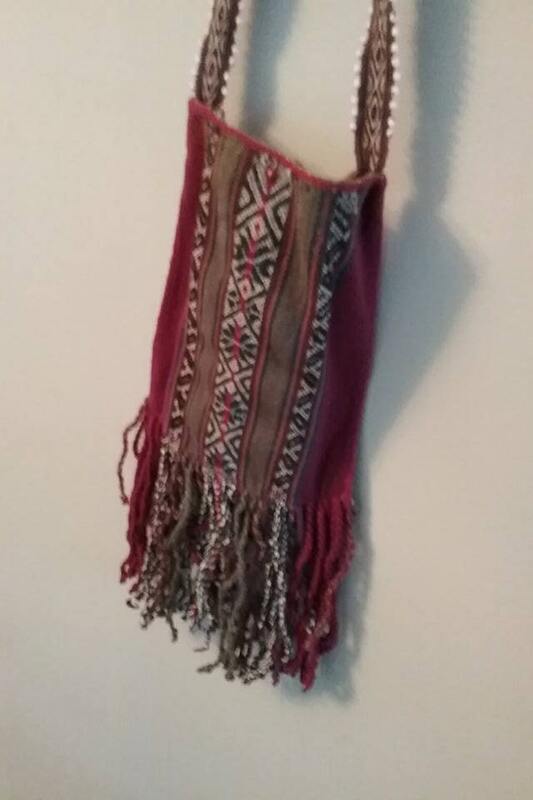 Excellent condition bag is 7.5 length (not including tassels) by 6" side. 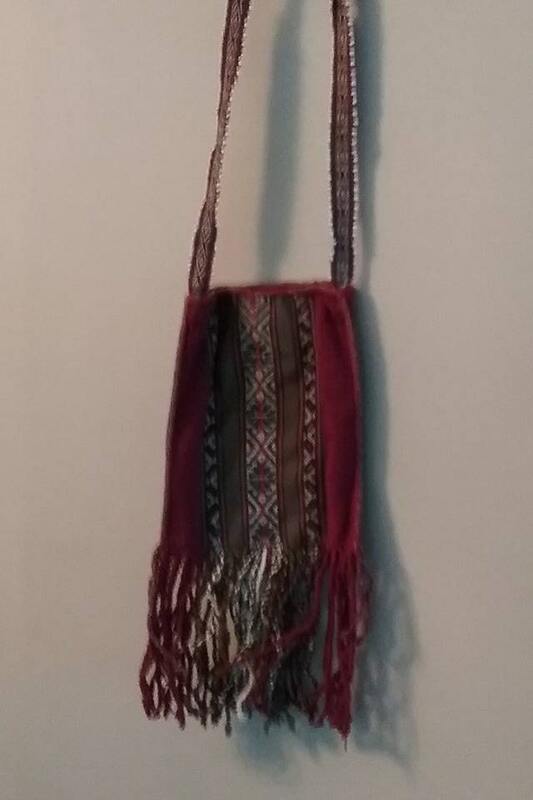 and 38" long strap. 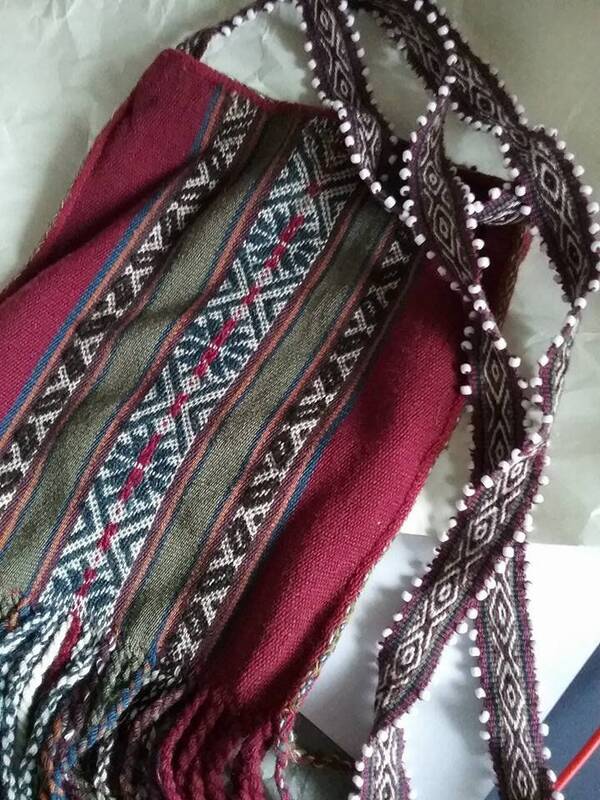 Deep rich burgundy, olive green and black with the tasseled bottom give it a beautiful Boho appeal.